Maybe I'm just nosy, but I love seeing what other people buy at the grocery store. Something about it makes me interested to see what their favorites are and sometimes I can learn about new products I hadn't heard of or seen before. So since I posted my last "Grocery Haul" video back in July of 2015, thought it was time for an update. 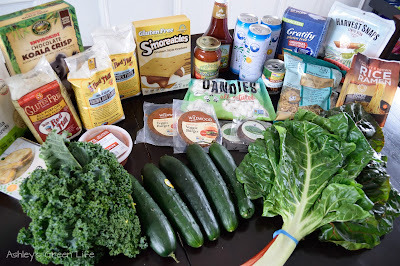 So today I'll be sharing my vegan groceries for one week. Let's get started with that grocery haul! 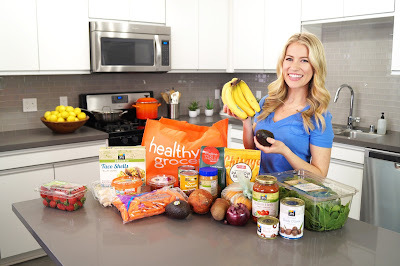 Special Collab: This month's collab will be a little different from the past in how I am teaming up with my fellow YouTuber, Megan from the channel "Healthy Grocery Girl" to share our Grocery Hauls. 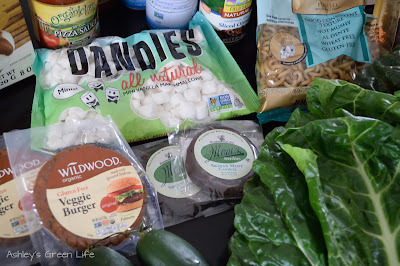 So not just one grocery haul, but two! Be sure to check out her YouTube channel here as well as her website: Healthy Grocery Girl for some yummy healthy recipes and other healthy living tips. 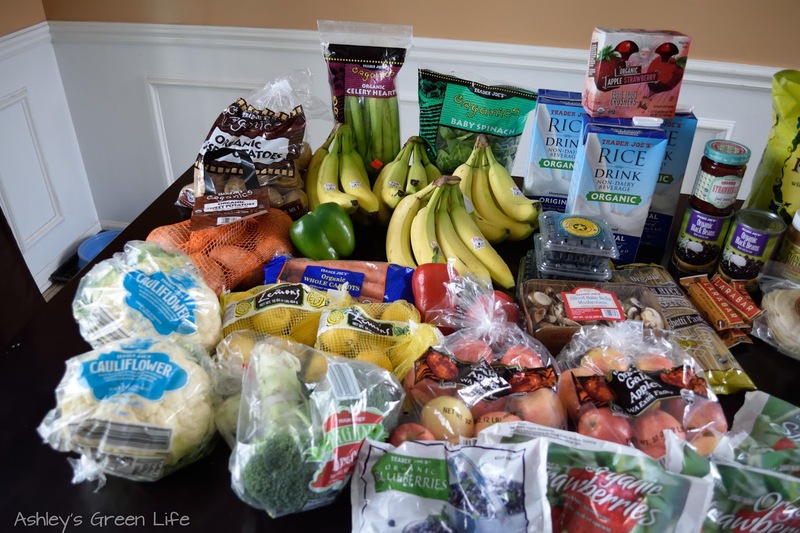 Frequently Asked Questions: Before I start the haul, here's some of the commonly asked questions I get about my groceries. Right now my grocery shopping consists of two stores, which you'll see below, on a weekly basis. On Saturday I go to one store and on Sunday, I go to another. A few years ago I used to do them all in one day, but now that I've got two kids, I like to divide and conquer them one day at a time. Then as the week goes on, we eat the food and when we weekend comes I repeat the stores once again. Personally I budget about $290 a week for groceries. This may seem high or low to you, but for me it's just right. We only eat out about once or twice a month to Chipotle, so the food I get has to get us through every meal (breakfast, lunch, and dinner) as well as snacks for everyone. In case you're wondering, we usually have leftovers for lunches to save money as well. On top of this, no one in my family is on any type of prescription medication, I see the food I buy as my pharmacy (thanks to my idol Kris Carr for sharing that nugget of wisdom). 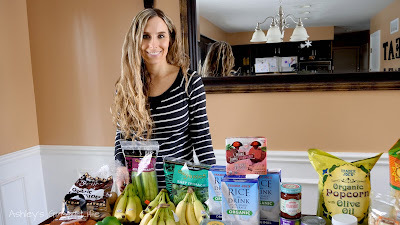 When I buy healthy, organic foods that I can cook with, juice with, and eat to give me energy not a headache, I feel great and so do my kids. 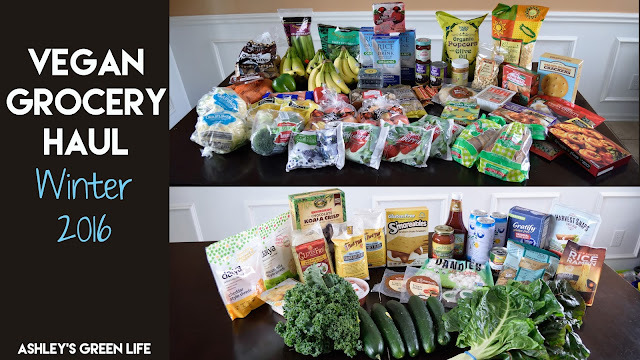 So although it's a higher price to eat this way, I don't have to spend money on co-pays, over the counter, or even prescription medication, so I'll take that. 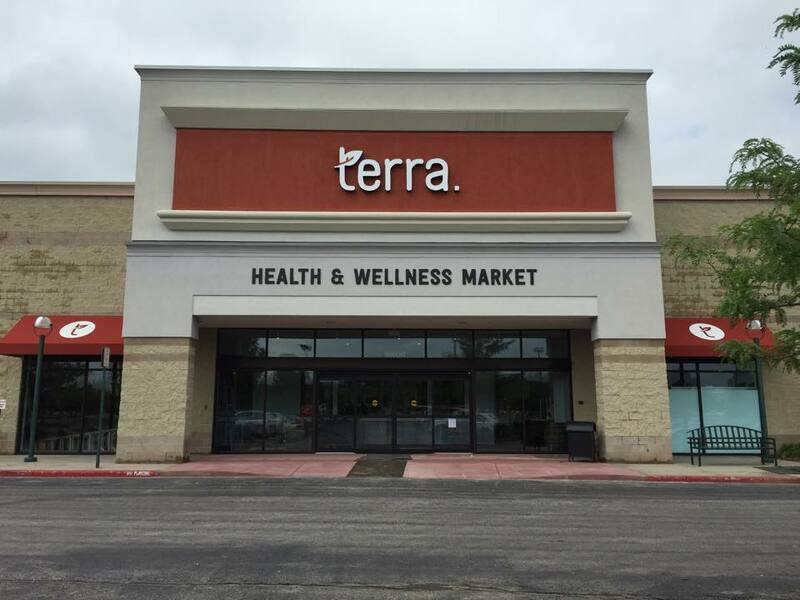 First up I go to Terra: Health & Wellness Market in Independence, Missouri. This my favorite local health food store, they're a small business that combines healthy and organic food with a fun shopping experience. This is where I go to stock up on my favorite gluten-free and vegan products that I can't find at other traditional grocery stores. Even better they have free membership cards that allow you to earn 5% daily, and 10% on Super Days (once a month), back as points that you can use to earn money on future purchases. On top of this they have a beautiful and unique looking store with excellent customer service that really makes you feel comfortable when you shop there, not like just one more customer walking around at Whole Foods. 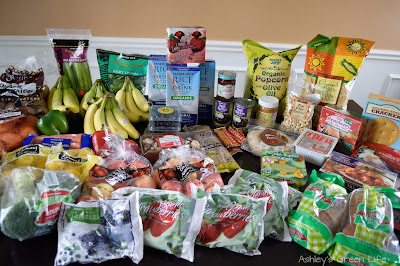 My Terra food for the week. 2 Wildwood Sprouted Tofu Veggie Burgers to have on our "Veggie Burger Night"
My favorite new dessert treat: Mom's Munchies Skinny Mint Cookie! the refrigerator though, just a head's up. Lentil Snaps Tomato Basil- a favorite snack for the girls that's made from lentils, they call this flavor "pizza chips"
Total Cost at Terra: around $115. 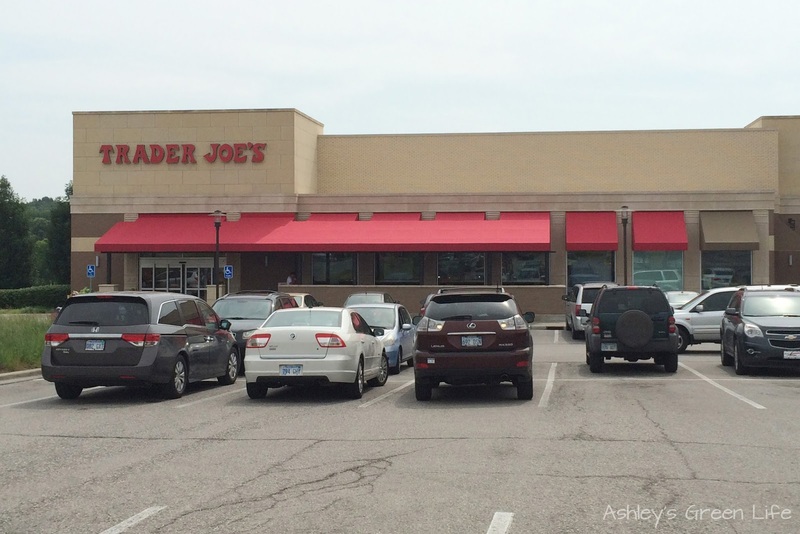 Next up I go to Trader Joe's. What takes me to Trader Joe's is their prices on organic produce. Once I discovered GMOs a few years back I switched so many products over to organic, and it really hit my budget hard. But when I started shopping at Trader Joe's my budget went back down to it's normal level...thank goodness! Trader Joe's also has a fun atmosphere, and my husband's favorite products are their new or seasonal products that you can't find at any other store. 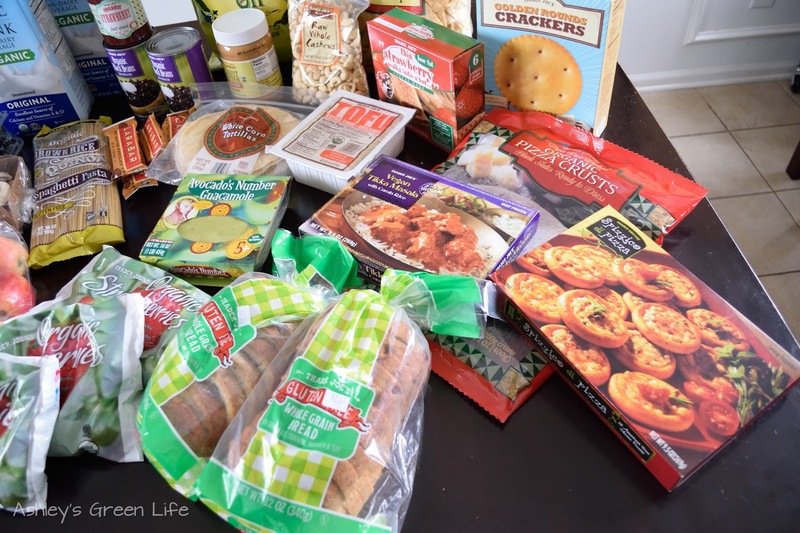 The one downside of Trader Joe's for me is their small selection of gluten-free and vegan foods. Yes they have gluten-free and yes they have vegan, but getting the two together is not always easy. So that's why I continue to go to both Terra and Trader Joe's. 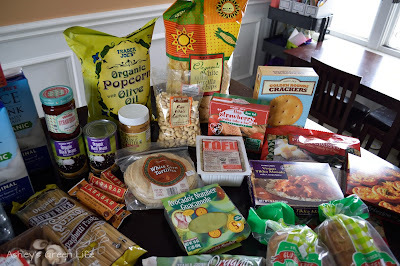 My Trader Joe's food for the week. 2 bunches of cauliflower for roasting and my new favorite snack: "Buffalo Cauliflower Wings"! 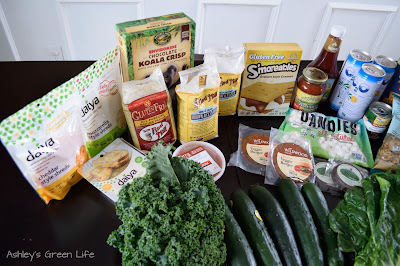 1 bunch of cauliflower for "Vegan Cheesy Casserole"
3 cartons of Organic Rice Drink, or rice milk as we call it for all our non-dairy milk needs. Apple Strawberry Crushers- I like these to give the girls for when we're on the go! Yes, I could probably make my own, but it's nice to have some healthy, pre-packaged snacks from time to time. 4 Frozen Organic Strawberries- for smoothies, love the cost of these $2.49 at Trader Joe's as opposed to $4-5 sometimes at other health food stores. 1 can organic creamy peanut butter, just 2 ingredients: peanuts and sea salt! 1 bag of organic Popcorn with Olive Oil for the girls, we were planning a family movie date! 1 pkg. raw whole cashews for making vegan cheese and my "Vegan Ranch Dip"
1 bag organic corn tortilla chips for our "Burrito Night"
Total Cost at Trader Joe's: around $150. Bringing my store total for the week to $265. I usually budget $290, so this was a lower week for me, sometimes it's higher on weeks when I stock up, but with weeks that are low like this it usually balances out. 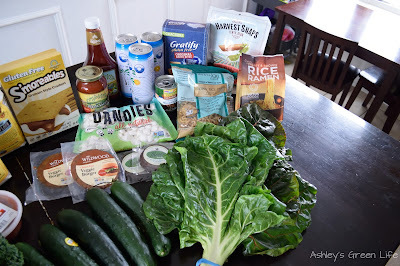 So there you have one week of grocery food for me and my little green family. Did you see anything that you also get or that you want to try? Share it below! Happy Shopping.